BRONX, N.Y. — Austin Romine went from not even being on the 40-man big league roster in early September to earning a surprise call-up and legitimate consideration for the postseason roster. But he didn’t make it, with Jesus Montero being kept around and Jorge Posada being used as a designated hitter and likely emergency third catcher. Romine hit just .158 in his only 19 big league at-bats on the season, but impressed many with his defensive prowess, which is what earned him postseason roster consideration in the first place. Considering the quick timeline of events that even got him to the big leagues, he was able to handle not making the ALDS roster pretty well. There is still, however, much that can be learned just by watching, says the 22-year-old catcher. “You can learn everything by watching,” he said. Before Justin Verlander became a household name on the verge of winning the American League Cy Young Award and possible MVP honors, he was a highly touted, but unproven pitching prospect who was skyrocketing through the Detroit Tigers farm system. Set to face off against CC Sabathia and the New York Yankees in Game 1 of the ALDS at 8:37 PM tonight, the hard-throwing righthander first garnered national attention when he was selected second overall in the 2004 MLB Draft by Detroit. He didn’t sign until after that season was over, and began his very brief minor league career in High-A Lakeland at the start of the 2005 season. Just 22 years old at the time, Verlander dominated the Florida State League to the tune of a 9-2 record and 1.67 ERA in 13 starts, posting an incredible 10.9 K/9 ratio (104 K in 86 IP) in the process. He was subsequently promoted to Double-A Erie, where he was somehow even better. Much, much better. But it isn’t his performance that stood out to him so much as it was good times with his teammates, and that’s what Verlander spoke about when asked by the Democrat about his fondest memories in the minor leagues. “When I was in Double-A, there was this big kind of condo complex area that a lot of the guys rented out,” he said. The numbers with the Erie Seawolves are hard to believe. In seven starts that encompassed 32 1/3 innings, Verlander allowed a grand total of one run. One. That’s it. One run. (That run came off the bat of Shelley Duncan, who hit a solo shot off of Verlander in the fourth inning of a 6-1 July 28 Thunder loss at Waterfront Park in which Verlander spun eight otherwise scoreless frames and was relieved by Fernando Rodney). That’s good for a microscopic 0.28 ERA. He walked seven, struck out 32 and left the minors behind him for good after that. Yet, for all the accomplishments that’s he racked up in his six full Major League seasons — He’s a four-time All-Star, the 2006 AL Rookie of the Year, started Game 1 of the World Series as a rookie and has thrown two no-hitters — there was a time where he was uncertain about getting used to life in the big leagues. “I didn’t know what to expect with the lifestyle,” Verlander said. But for many of his teammates in either Lakeland or Erie, there were no big leagues to prepare for. For example, of the 39 players who played on that season’s Lakeland team, only 10 made it to the game’s highest level. Verlander was fortunate to have his road to the big leagues be a very short and smooth one. For others, he knows they aren’t as lucky. “Just keep working hard,” was Verlander’s advice to those in the minors. Verlander has proved it both at the minor and major league levels. His overall MiLB numbers are staggering: 20 starts, 118 2/3 IP, 11-2 record, 1.29 ERA, 26 BB, 136 K, 0.90 WHIP. Now? He’s regarded as one of the best, if not the best, pitchers in all of Major League Baseball. Verlander’s was the first in a series of stories in which some of the biggest stars in the game today recall their memories of playing in the minor leagues. Stay tuned to hear from Albert Pujols, Derek Jeter, Ryan Howard, Mariano Rivera and many, many more. “All of Minor League Baseball would like to congratulate the winners of 2011 Rawlings Gold Glove Awards,” said Pat O’Conner, Minor League Baseball President. “To be honored with such a prestigious award is quite an accomplishment and exemplifies excellence in the field. Minor League Baseball is also pleased to team with Rawlings Sporting Goods to bring back such a great tradition as the Rawlings Gold Glove Award.” This season marks the return of Rawlings honoring Minor League Baseball players for their defensive prowess. The St. Louis-based company named a Minor League all-star fielding team on the basis of official fielding averages for several years in the 1960s. The accolade was known as the Rawlings Silver Glove Award during this time. (PR) PORTLAND, MAINE – The Eastern League is pleased to announce that Will Smith, who is the General Manager and C.O.O. 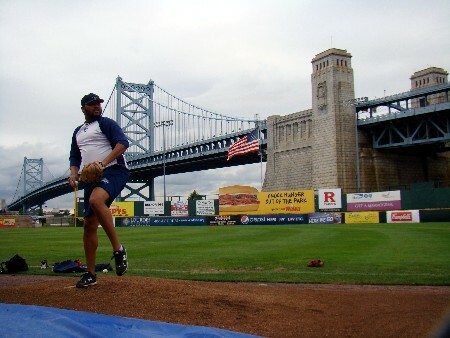 of the Trenton Thunder, has been selected as the 2011 Eastern League Executive of the Year. Smith will be recognized at the Baseball Winter Meetings in Dallas, Texas during the Opening Session on Monday, December 5. Under Will’s guidance the Thunder welcomed a total of 379,501 fans to Waterfront Park this season. That attendance total was the third highest in the Eastern League this season and it also ranked fifth among all of Double-A. The team averaged 5,664 fans per game, which was a 4.7% increase over the 2010 season and ranked as the fifth best average among all teams at the Double-A level. That success at the turnstiles can be attributed in large part to their promotional schedule that included at least one event or giveaway at every home game during the 2011 season in addition to the ever changing and always entertaining in-game promotions at Waterfront Park. The Thunder are also heavily involved within their community, donating more than $4.2-million to the Greater Trenton Community since 1994 through Trenton Thunder Charities. 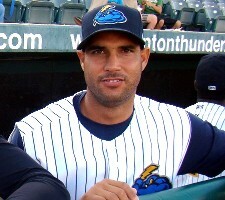 Smith has been in his current role with the Thunder for the past three seasons, joining the club on the first day of the postseason during Trenton’s 2008 Eastern League Championship run. The College of New Jersey graduate started his career in Minor League Baseball as a member of the New Haven Ravens after previously working as an engineer. 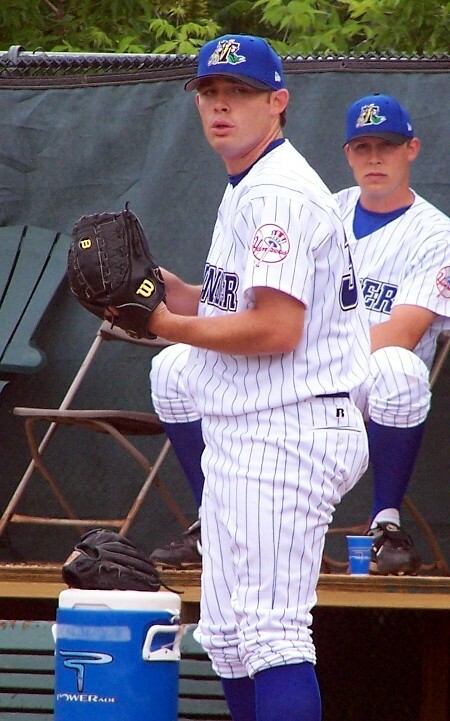 Will left New Haven to join the Hagerstown Suns and was eventually promoted to the position of General Manager in 2006. With the presentation of this award the Eastern League would also like to recognize the outstanding job performed by the entire Trenton Thunder staff. (PR) TRENTON, NJ – The Eastern League of Professional Baseball announced its nominees for the Minor League Baseball postseason awards on Thursday morning with the Thunder’s Patience Purdy getting the nod for the Rawlings Woman Executive of the Year award. The Rawlings Woman Executive of the Year award is given out annually to one woman who has made an outstanding contribution to her club, league or to baseball. For this award the Eastern League is pleased to nominate Patience Purdy, the Director of Community Relations for the Trenton Thunder. In her eighth season as a member of the Trenton organization, Patience is responsible for overseeing all charitable efforts of the Thunder. Among the many programs that Patience created for the Thunder is the Dog of the Day adoption awareness program, Good Deed Day and a partnership with Habitat for Humanity. This year Patience was named the Princeton Regional Chamber of Commerce Business/Sports Person of the Year. The Eastern League also announced that the New Britain Rock Cats are the EL nominee for the John H. Johnson President’s Award, and the Reading Phillies are nominated for the Larry MacPhail Promotional Award. Winners of these awards are selected by Minor League Baseball and will be honored at the 2011 Baseball Winter Meetings in Dallas. 2011 has been an outstanding year for Thunder staff members earning individual reconition for their roles with the club. As previously announced, Thunder General Manager Will Smith was named Eastern League Executive of the Year and Jay Burnham was named Ballpark Digest’s Broadcaster of the Year. 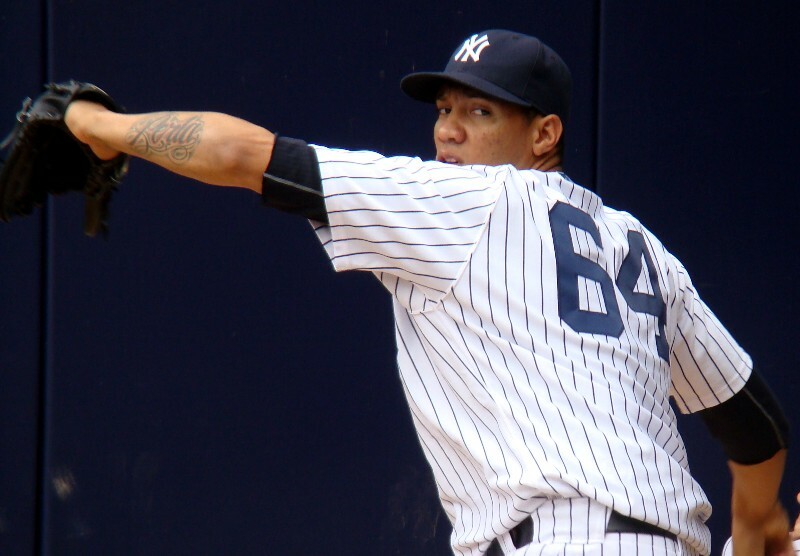 BRONX, N.Y. — Yes, that was Dellin Betances starting for the Yankees in Tampa in their last game of the regular season. It was, if only to New York and none of the other teams involved, a meaningless outing. For Betances, however, it was somewhat of a predictable one. Well, sort of. 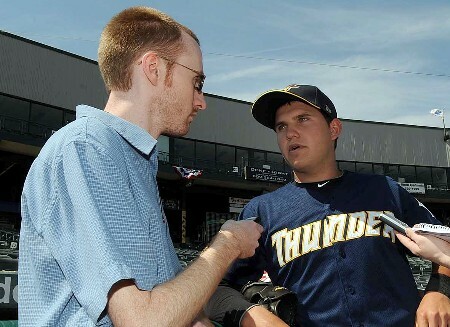 Betances was asked on Trenton Thunder media day, before his season in Double-A had even started, if he thought ending his year in pinstripes was a realistic goal. “I feel like that’s definitely my dream, to become a New York Yankee, to be able to wear the pinstripes and help them win,” said Betances on April 5th. Fast forward to early September, and the 6 foot-8 inch tall, hard-throwing righty was summoned to the big leagues for the first time somewhat unexpectedly, despite his status on the 40-man roster. “After the last game in Scranton, they called a couple guys into the office,” said Betances of finding out his fate. Betances joined the team on the road in Anaheim, but didn’t make his Major League debut until a September 22 appearance at home against the Rays. I spoke to the New York native one day before that debut, and asked him what it meant to him to walk into the Yankees clubhouse and see a jersey with pinstripes and his number on it hanging in a locker that belonged to him. “Man, I can’t even describe it to you, it’s just great,” he said. A chance to get back seems very realistic for Betances, even if there were days at Waterfront Park this season when he wasn’t sure if his Media Day prediction would come true. Betances was, at times, absolutely dominant for the Thunder in his 105 1/3 innings. But those 105 1/3 frames came over the course of 21 starts, leaving him just barely averaging five innings per start, which can be directly attributed to lapses in command. “I always thought I had a chance to come up, especially being on the 40-man roster. That made it a little easier,” he said. Something else that caught people by surprise were Betances struggles in Triple-A, as he went 0-3 with a 5.14 ERA in his four starts with Scranton, walking 15 batters in 21 innings of work. “I had two good starts, and two not so good there,” Betances said. It wouldn’t be out of the realm of possibility, given the unstable nature of the Yankees starting rotation going forward, that Betances may very well have thrown his last pitch in Triple-A. Once again, Betances was asked about the big leagues, and if that was a realistic goal for him come Opening Day in 2012. “I would love to be back here,” he said. But a great year — whether it be in Triple-A, the big leagues or elsewhere — won’t happen for Betances without consistency, and his focus this off-season will be to work on improving in that area. Was fortunate enough to be up at Yankee Stadium yesterday for both games of the Rays-Yankees doubleheader, including Hector Noesi’s Game 1 start. In addition to the Raul Valdes feature you already read, I spoke with Austin Romine, Andrew Brackman, George Kontos and Dellin Betances. You’ll see stories on all of them down the road. BRONX, N.Y. — Raul Valdes certainly wasn’t lying when he said that spending a week in Double-A Trenton earlier this season wasn’t the most difficult thing he’s ever been through. Whether it be personally — he defected from his native Cuba in 2003 — or professionally, the 33-year-old New York Yankees left-handed pitcher has been through much worse than that. 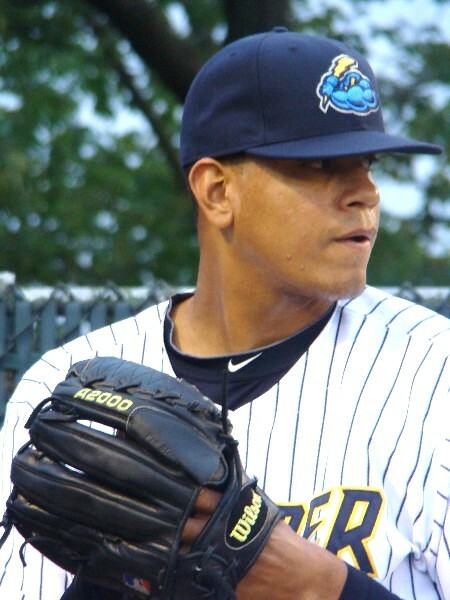 Valdes was at the lowest of lows in 2006, pitching in the independent Can-Am League with the Nashua Pride and New Jersey Jackals following his release from the Cubs organization. He signed with the Mets after that and was released, then brought back last year. At 32 years old, he made his Major League debut and pitched fairly well at times, posting a 4.91 ERA in 38 appearances out of the Mets bullpen. He pitched in seven games for the St. Louis Cardinals this season before they designated him for assignment, and he was subsequently claimed by the Yankees, who assigned him to Triple-A Scranton. He strung together three scoreless outings, then was demoted to Double-A Trenton, where he spent seven days and made two appearances. Add all that together and…yeah, seven days in Mercer County wasn’t so bad. “I never put my head down,” said Valdes through interpreter Dellin Betances. “Here” is the big leagues, where Valdes was sent once rosters expanded on September 1st. And following his second consecutive strong outing, Valdes earned praise from manager Joe Girardi, who noted that Valdes’ delivery provides deception. “Every opportunity I get is definitely going to be important from now,” Valdes said. Thunder alum Ian Kennedy became the first National League pitcher to reach 20 wins. I’m lucky enough to be able to say that I covered Ian Kennedy’s Double-A debut. The date was June 5, 2007 and the opponent was the Binghamton Mets. I remember being incredibly intrigued by the matchup, as Kevin Mulvey was on the hill for the B-Mets, and was considered to be one of the Mets better pitching prospects at that time. Mulvey did not pan out. It’s safe to say that Kennedy has…just not as a member of the Yankees. Kennedy won his 20th game of the season last night as a member of the Arizona Diamondbacks, the first National League pitcher to reach the 20-win plateau. That debut was the only time I’d see Kennedy pitch for Trenton, as he lasted just nine starts (four at home) before being promoted to Triple-A Scranton and ultimately, the Bronx. Before the days of Thunder Thoughts, I only covered about 20-25 Thunder games a season, compared to the 50-60 I do now. But I remember going out of my way to see Kennedy and another young stud pitcher, Joba Chamberlain, pitch while they were with the team. In fact, I remember interviewing both of them on the same day just outside of the clubhouse. It was a good haul for a reporter back then, and a great one looking back today. My story? Well, it wasn’t a great one, but here’s a look back at my 2007 piece on then-Thunder starter Ian Kennedy. The critically acclaimed 2004 film “Friday Night Lights” was about a high school football team in Texas. However, it just as easily could have been title of a movie about current Trenton Thunder starter Ian Kennedy. While at USC, Kennedy was the team’s regular starter on Friday nights, which is when college coaches try to showcase their best pitcher. “They had a lot of openings on Fridays and the weekends because people were hurt or failed out of school,” Kennedy said. Kennedy was the last freshman to earn Friday night honors since current Cardinals reliever Randy Flores did it in 1994. While pitching for the Trojans, it turns out Kennedy was preparing for his professional career without even knowing it. “Pitching there is kind of like pitching for the Yankees, they’ve won more championships than anyone,” he said. And sure enough, Kennedy was drafted by the Yankees with 21st overall pick last year, agreeing to a $2.25 million signing bonus, the fourth largest in team history. And what about the check that comes with it? “I really didn’t do much with it. I got a house that I had to pay my parents for, but I basically put it all into investments,” he said. The Yankees investment in him is starting to pay immediate dividends, as the #6 prospect in the organization according to Baseball America dominated the Florida State League to the tune of a 6-1 record and 1.29 ERA before being called up to Trenton from Tampa in early June. Not much has changed in Kennedy’s first three starts in a Thunder uniform, as he’s 3-0 with a 3.38 ERA, including a win in his Eastern League debut against Mets top pitching prospect Kevin Mulvey. “I honestly haven’t noticed that much of a difference between Single-A and Double-A,” he said. Kennedy goes after hitters with a repertoire that includes a fastball that sat at 88 MPH in his Thunder debut, a sinking changeup, a slider and a curveball. “I command my pitches a lot like (Tyler) Clippard does, that’s who a lot of people compare me to,” he said. Clippard, who led the Eastern League in strikeouts with the Thunder last season, got a taste of the big leagues this season. At the rate he’s rising through the minors, can Kennedy be far behind? “If I keep doing well, everything looks really good. I like this organization, I want to be a big league Yankee,” Kennedy said. I caught up with Humberto Sanchez and Wilkin de la Rosa, who are among five Thunder alumni playing for the Atlantic League’s Camden Riversharks (Noah Hall, Juan Francia and Fernando Hernandez are the others). Stay tuned for stories on them, as well as my feature on Dante Bichette, Jr. I’ll also be at three Yankees games this week, and am hoping to speak with Austin Romine, Dellin Betances, Andrew Brackman, George Kontos and others. The above photograph captures the first time I ever met Brandon Laird. It was last year’s Media Day at Waterfront Park, and Laird was a not too particularly highly touted third base prospect who was coming off a solid season in High-A Tampa. He was also coming off of an off-season in which he made headlines for the wrong reasons, allegedly getting involved in an altercation at a Phoenix Suns game with his big league catcher brother, Gerald. Which meant there were some tough questions I had to ask…which isn’t really the impression you want to make the first time you meet a guy. But Laird, just 22 years old at the time, was a true pro about it and answered every question without issue. After everything was over, I approached Laird and thanked him for being cool about everything and that I didn’t particularly enjoy asking those questions, and he said he understood and that he knew I had a job to do. Since that day, I’ve been able to build a nice relationship with Brandon, who has always been giving of his time with myself and other reporters. Despite concerns about athleticism and playing a position that will seemingly be locked down for years in the Bronx, Laird perservered and batted his way to the big leagues, boosted largely by a 2010 season that saw him take Eastern League MVP honors despite being called up to Triple-A Scranton at the end of July. Laird batted .291 in 107 games as the Thunder’s everyday third baseman, adding 23 home runs and 90 RBI along the way. Laird struggled initially in Scranton at the tail end of last season, hitting just .246, but flourished at times this season and earned his first big league call-up in the middle of July. “We were in Lehigh Valley, and after the game, Dave Miley called me in and said, ‘You’re going up, go help that team win,'” Laird recalled. Laird played in four straight games in his initial call-up, collecting his first big league hit and RBI in his first at-bat on July 22. He was sent down at the end of the month and stayed in Scranton for the remainder of their season before returning to the big leagues. But he says that brief first stint was beneficial to his latest recall. “I was actually talking about that with Eric Chavez the other day in BP, about how the second time up was a little easier for me,” Laird said. Of course, a glance around the spacious Yankees clubhouse reveals that “these guys” are…well, more than just “these guys” to a lot of people. There’s Derek Jeter, Alex Rodriguez, Curtis Granderson, CC Sabathia, Mariano Rivera and so on…all these star players. And then there’s little known Brandon Laird, whose locker is next to media darling Jesus Montero and far away from the bigger name players at the far end of the blue carpeted palace. Laird said his goals for this month are to use it as a learning experience, asking as many questions as he can to his more experienced teammates. I asked Laird if he was still a little nervous going up to guys like Jeter and A-Rod. “In spring training, I was a little in shock. I was afraid to go up to them, but they’re very approachable,” Laird told me. As much as I’d love to revel in everyone’s wonderful comments in my last post and trust me…those mean a lot, there is some news to get to. And for the most part, it is good. After initial speculation that his season was over, Dellin Betances was instead called up to the active Major League roster. Betances spent the majority of his season in Double-A Trenton, making 21 of his 25 starts there before being called up to Triple-A Scranton. Chad Jennings does a nice job of taking a look at Betances’ reaction to getting a shot in the big leagues. Betances joined the Thunder late last season, and for all intents and purposes, spent an entire season with the Thunder. But in 2011, he went 4-6 with a 3.42 ERA in 105 1/3 innings of work while calling Waterfront Park home, walking 55 and striking out 115. His debut stint in Scranton didn’t go quite as well — he was 0-3 with a 5.14 ERA in four outings, but given that he had a spot on the 40-man roster, there was no risk in calling him up and giving him a taste of the big leagues. George Kontos was also added to the 40-man roster, but at the expense of Lance Pendleton, who has since predictably been claimed by the Houston Astros. Pendleton was claimed in the Rule 5 draft by the Astros after the 2010 season, but was returned prior to this year. They liked him, and he’s from not far from there, so he liked them as well. Adam Warren, Manny Banuelos and David Phelps have also joined the team in a non-roster capacity as part of the Yankees’ annual prospect development program. There’s more good news to report when it comes to Thunder alumni, but it unfortunately comes at the expense of one of Trenton’s own. 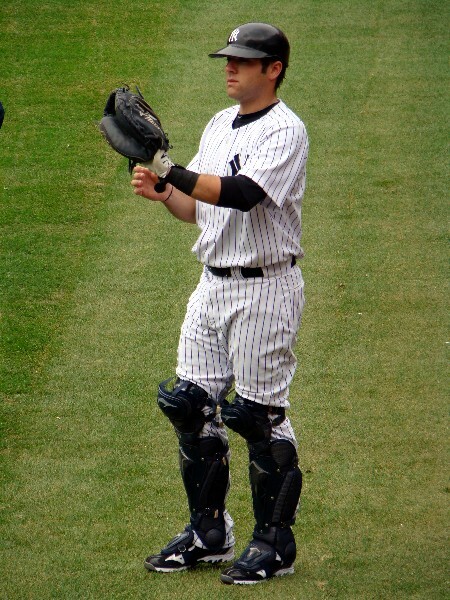 After an injury to Russell Martin and lingering potential concussion symptoms for Francisco Cervelli, Austin Romine was added to the 40-man roster and made his Major League debut today. However, Steve Garrison was designated for assignment by the Yankees. He had not been added to the big league roster when they expanded on September 1st. Aside from four games at the end of this year in Triple-A Scranton, Romine had spent the entire past two seasons in Trenton. 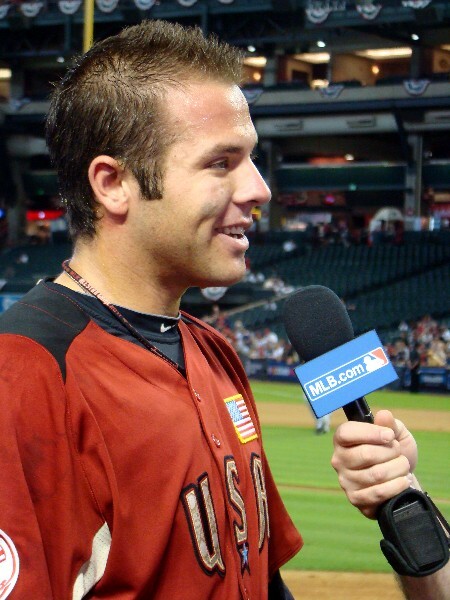 Although he endured an injury-riddle campaign in 2011, he was more consistent offensively, raising his average 18 points (.286 to .268) from 2010 to 2011, albeit in 119 fewer at-bats. The 22-year-old played in exactly 200 games for Trenton, hitting 16 home runs and collecting 116 RBI and participated in consecutive Futures Game’s while a member of the Thunder. As for Garrison, the soon-to-be 26-year-old lefty (his birthday is tomorrow) went through a diastrous 2011 season in which he missed a large chunk of the season due to injuries and was inconsistent when he was healthy. But he did have one big highlight, getting to make his big league debut against the Seattle Mariners earlier this year. In 17 appearances for the Thunder this year, Garrison posted a 4-8 mark with a 5.95 ERA. The Yankees have ten days to decide what to do with the friendly southpaw, who first joined the organization at the end of last season.